How does cognitive behavioural therapy ease depression? We explore how CBT can recondition thought processes and behaviour to ease symptoms of depression. When struggling with depression, it can be extremely difficult to counteract and challenge the negative thoughts that creep into your awareness. You’re brain is struggling to process persistent low mood and chronic feelings of hopelessness and despair. Cognitive behavioural therapy (CBT) - a talking therapy designed to manage worries, physical and mental pain through the alteration of thought processes - aims to break overwhelming, negative thoughts down into sizable chunks to manage individually and disregard habits. Negative, irrational thoughts feed depression, maintaining the illness and trapping the person struggling in a vicious cycle of dark thoughts about themselves, and the behaviour of others towards them. Dysfunctional automatic thoughts and assumptions such as, people think I’m a failure, I’m useless, I fail at everything, I will get rejected are commonly associated with depression. CBT aims to intervene these thought processes. It is possible to recondition the brain to process thoughts which can be paramount in a mentally-ill person’s recovery and continual well-being. 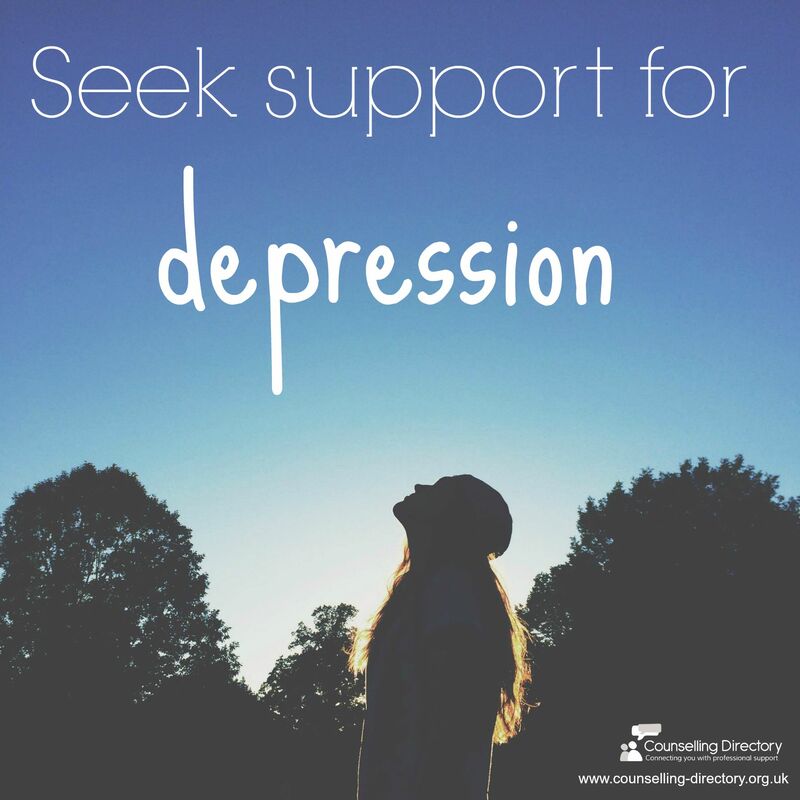 As thoughts and actions have a direct link in determining one another, CBT also focuses on the behaviour of an individual struggling with depression. Common behaviour includes; isolating yourself from friends and family, neglection of hobbies, passions and interests, loss of libido and loss of energy. In the treatment of depression, CBT focuses on the present, here and now thoughts and behaviours. You will learn, on a one to one basis or group therapy - whatever suits your need best - how to recognise the damaging thoughts and find alternative reactions to such thoughts. Common to people struggling with depression are maladaptive assumptions: the ideas about what you think you should be doing and the rules by which people with depression think they should live by: I should get approval from everyone, if someone does not like me that means I am unlovable and if I fail at something then I am a failure. What you’ll learn is to understand that if someone doesn’t like you, it doesn't determine how loveable you are. It allows you to appreciate the wider focus of why a situation didn’t turn out preferable, and most importantly, why this doesn’t reflect directly on your own abilities or skills. As CBT focuses on behaviour patterns, your therapist may work with you on tasks that can be carried out at home, allowing you to develop these skills and use them in the future to progress recovery. How effective is cognitive behavioural therapy for depression? Numerous research studies conducted at major universities have consistently demonstrated that CBT is as effective as antidepressant medication in the treatment of depression. Increasingly, most patients in cognitive behavioural treatment maintain their improved mood when checked two years after ending therapy. Other forms of cognitive and behavioural therapies to treat specific issues include: acceptance and commitment therapy, behavioural therapy, cognitive analytic therapy and dialectical behavioural therapy.